I imagine that you are all exhausted by the amount of news coverage you have seen on “Hurricane Irma”. After weeks of heartbreaking news affecting our fellow citizens in Houston, Texas, here we are, forced to face another catastrophic weather event. My home, family, friends, business and community are located in the Fort Myers and surrounding Florida area which is now bracing for a direct impact from Irma. An estimated 6.3 million people in Florida got the evacuation order. I was able to evacuate and I am now safely located at a hotel in Alabama, but many of my family, friends and my community are still in Fort Myers. A driving trip that would ordinarily have taken 11-12 hours to complete took us 20 hours a few days ago. 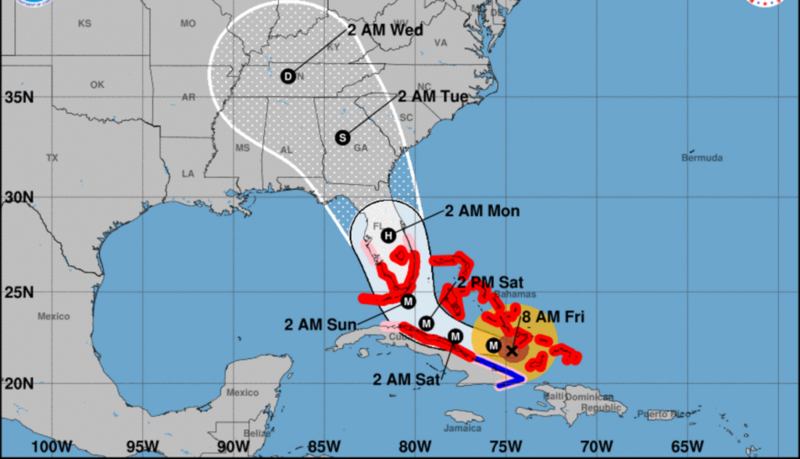 Hotels all over Florida, Georgia and Alabama were completely sold out days ago, making evacuation even harder for anyone trying to get out. I mention this because it’s impossible to understand the complexities of dealing with this kind of unpredictable weather situation until you are faced with the many decisions and extenuating circumstances that arise. The purpose of this post is to keep you updated on what is going on with me. My members should not see an interruption in service or updates and I am praying that this storm will move quickly. As you might imagine, I am extremely worried about all of my loved ones and my community. This has been a very emotional time. I am in constant contact with my family and friends who are still in Florida as we prepare to weather the storm. I want to thank you all for being such an incredible part of my life. Thank you for your thoughts and your prayers. I am seeing your emails and your social media messages and I love you all. Thank you for being my people. You are all a great part of my story and I couldn’t imagine it any other way. Please stay with us. I will keep you posted as the next day progresses. This entry was posted on Sunday, September 10th, 2017 at 6:08 am	and is filed under Bodybuilding, Fitness Tips, My Photos, My Videos. You can follow any responses to this entry through the RSS 2.0 feed. You can leave a response, or trackback from your own site.